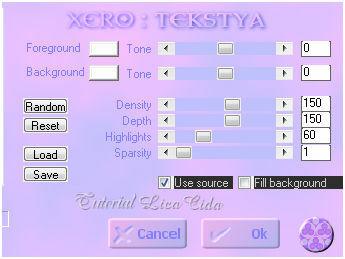 Plugin Nick Software\ Color EfexPro 3.0. _Effects \ Geometric Effects \ Perspective -Horizontal . D=65 \ Transp. _Repetir : Effects \ Geometric Effects \ Perspective -Horizontal . D=65 \ Transp. 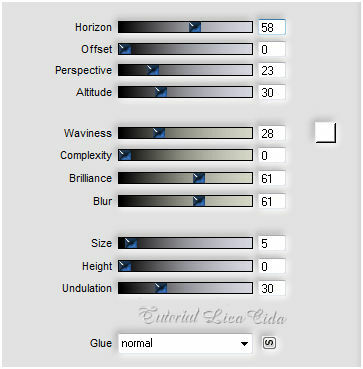 2-Effects\ Texture Effects\ Blinds. W=70 \ O=30. Color=#ffffff. Light from left\top (marcado). 3-Effects\ Distortion Effects\ Pinch . S=100. 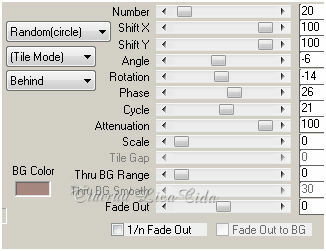 4-Plugin Nick Software\ Color EfexPro 3.0\ Bi-Color Filters\ Color Set \ Brown1. _Adjust\ Briightness\ Contrast . B=22 \ C=2. 5-Plugin DCspecial\ Rain ...130 \ 5. *Plugin Alien Skin Eye Candy 5 : Impact\ Perspective Shadow_Blurry. _ Layer Duplicate. Image\ Mirror Horizontal. 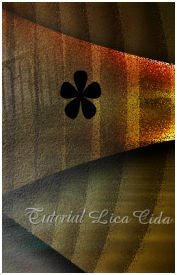 6-Effects \ Geometric Effects\ Circle . Transp. 7- Edit Copy no misted Escalier 02.10 tubed by corinne.vicaire\ Paste As New Layer . _Efects\ Image Effects\ Offset... H= ( menos ) -211 \V= ( menos ) -96 . Custom e Transp. 9-Edit Copy no tube anna.br_absorta.1044\ Paste As New Layer . Posicione. 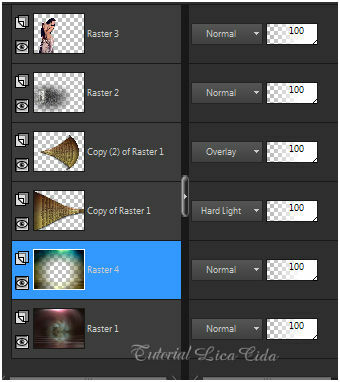 12-Ativar a layer superior ( raster 3 ) . Nova layer . _Ativar o Preset Shape \ Flower . _ Select All. Float\Defloat. Preencher a flower com uma cor retirada do tube principal (#a88780 ). 13-Plugin Alien Skin Eye Candy 5: Impact\ Glass... Setting\ use Setting\ katrina. 14-Plugin MuRa's Meister \ Copies_Shower. _ Layer Duplicate. Image\Mirror Vertical. _Layer\ Arrange\ Move Down. ( aplicar duas vezes ). _Effects\3D Effects\ Drop Shadow. 3 \ 13 \ 80 \ 30,00 . (Color=#000000). 15- Estou na Raster 5. Edit Copy no framenet-arquivo \ Paste As New Layer . _Efects\ Image Effects\ Offset... H= 229 \V= 120 . Custom e Transp. 16- Duplicar o misted Escalier 02.10 tubed by corinne.vicaire \ usar abaixo do frame a parte que combine. 17- Ativar a layer superior. _Edit Copy no tube MR_Roses in egg\ Paste As New Layer . Resize em proporção. Posicione. 18- Image add border 1 pxl cor #000000. _Selecione. Edit Paste Into Selection . 20-Plugin DCspecial\ Rain ...130 \ 5. Aparecida \ licacida , maio de 2017.